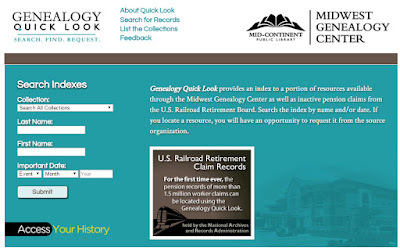 Keeping the family researchers in mind, the Midwest Genealogy Center (MGC) has taken on a large indexing project entitled Quick Look. 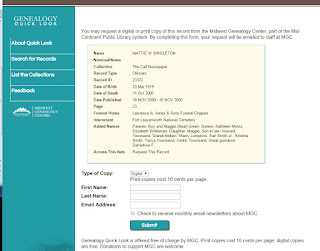 The librarians and volunteers at MGC are once again helping genealogists everywhere to keep our promise: “leave no stone unturned.” This time MGC has indexed, by name and by date, the following collections for easy online access. No library card needed, no fee, just a community service project that makes it easier for us to find “Great-Uncle Bob” or in my case Great-Aunt Mattie (see below). The following six collections have been indexed. For information on each collection visit the List the Collections page. Book Indexes to “some books” in MGC's reference collection. 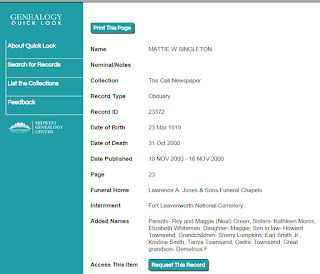 This Book Index will take you directly to the MCPL Catalog entry for holdings and location of the book that holds your ancestor’s name. Be sure to review the List the Collections page for information. The Kansas City Call Newspaper: 1995-2001. This is a great resource for African American families. Know that African Americans across the Midwest reported deaths to “The Call”. In Kansas we have successfully located obituaries as far as Hutchinson. U. S. Railroad Retirement Board: 1936-2010. 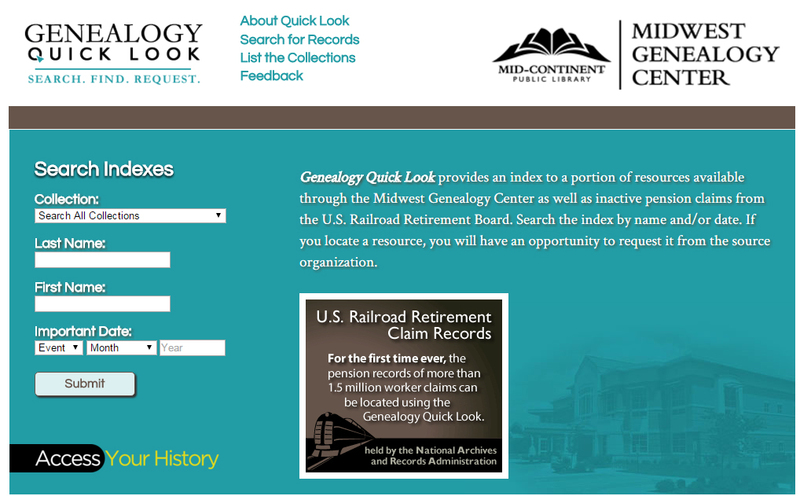 You can search the index to over 1.5 million pension records from the U.S. Railroad Retirement Board for free online. These pension files are held at the National Archives and Records Administration (NARA) in Atlanta. The goal is to get a copy of whatever document is available - obituary, book page, RRB claim, etc. By providing the holding repository with the indexed information, they will be able to locate, copy and forward a digital or email copy of the information. Note: RRB claims will be photocopied and mailed if available. It's pretty simple, since you will just follow the screen prompts for your next steps. 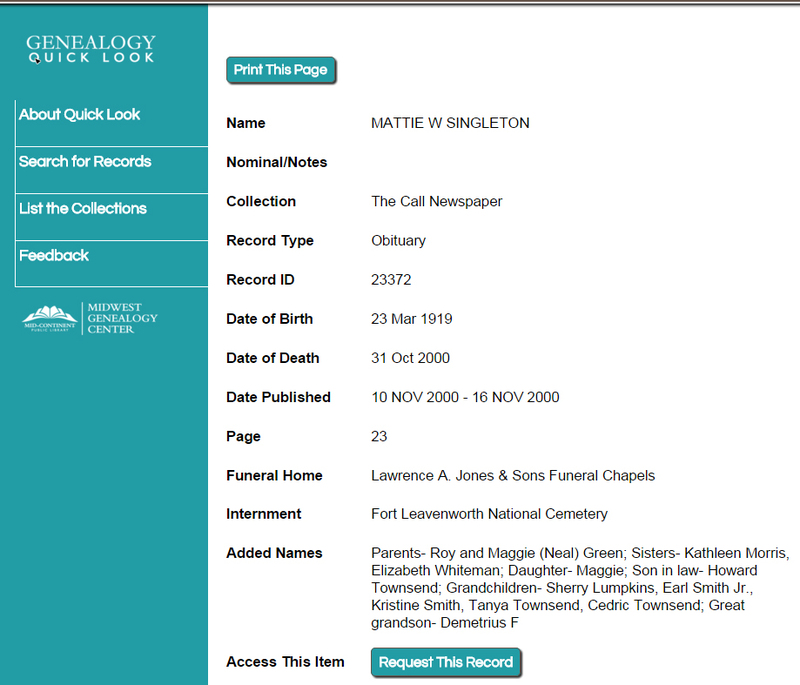 Mattie Singleton was my grandmother’s sister. I really knew little about her and have never seen her obituary. Would Quick Look have her obituary indexed? Once a person of interest is located, researchers can request the actual document from the holding location. 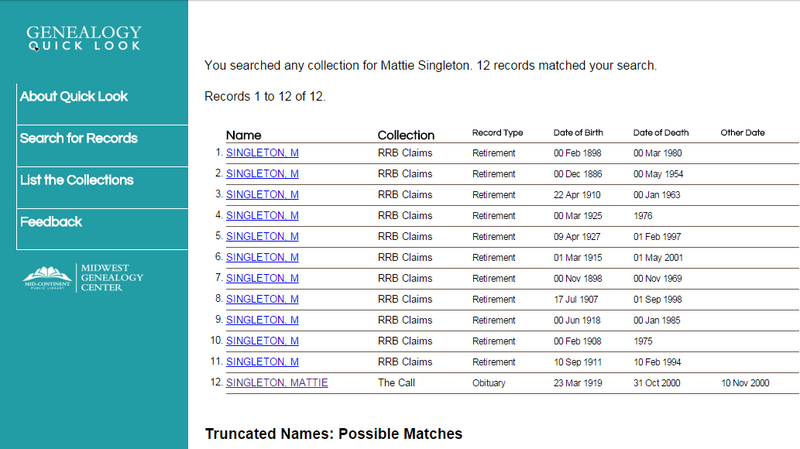 Her parent’s and daughter’s names verified her to be the correct Mattie Singleton. Note: This will only be entered if it was in the obituary. 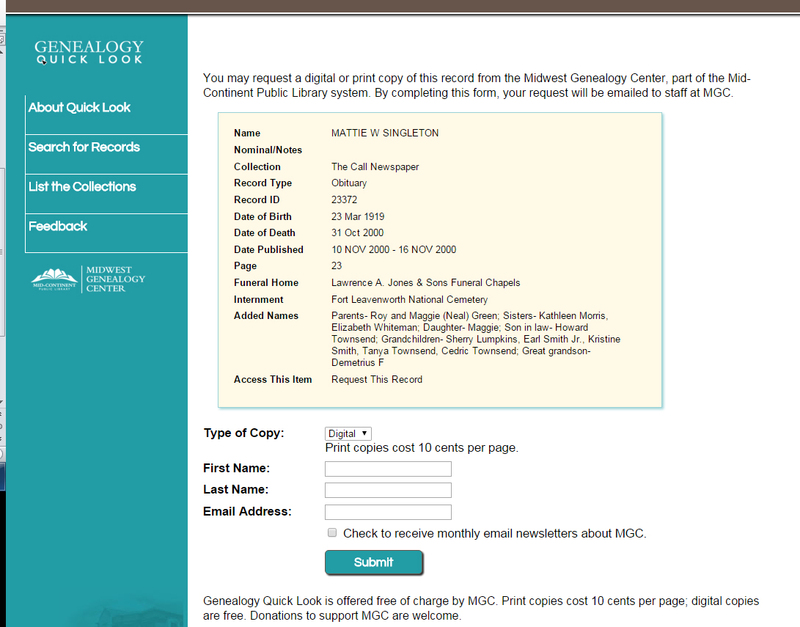 If your request is for MGC, print copies are only 10 cents per page, but I prefer digital copies emailed to me - free! For a RRB Claims package, you will be directed to the National Archives at Atlanta website. Here’s information on what will be needed to request a claim folder. But be sure to check the index first. Plus you are guiding the NARA staff to the Record and Claim ID, and Claim Location which usually results in a much quicker turn-around. Researchers will want to visit the HomePage for Search Tips. Railroad Retirement Board Pension (RRB) Claims index will be most effective if you have a birth and/or death date for your ancestor as additional identifying information is not provided in the index. 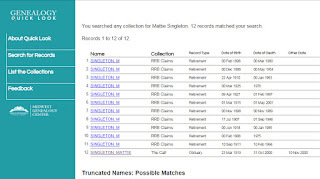 You will find only the surname followed by the first initial with a birthdate to be indexed. Although request retrievals are free (you only pay for copying), I suggest giving a donation - a token of appreciation - to MGC, a public library branch of Mid-Continent Public Library. Let them know we love their efforts and their support to our success. Although University of Missouri, Columbia, MO. students may believe that the current protests are unprecedented, it is far from being so. MU's student body and student athletes have historically fought against racism, and injustice on both the local and national level. Columbia, MO., shadowed by St. Louis to the east and Kansas City, MO to the west, has historically been a popular location for racial change and protest against injustice. Few realize that in Columbia, MO there are two other change-makers: Stephens College and Columbia College. 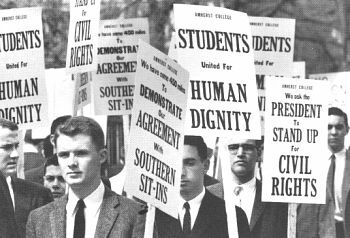 And in the past, standing as a collective group, students from these three campuses fighting and protesting racial issues and injustice has proven effective. Collection C2508, The Congress of Racial Equality Papers, contains constitutions of the national and local C.O.R.E., minutes, membership lists, clippings, and correspondence. It is not comprehensive, but a great source for Missouri researchers. Stephens College Archives, Columbia MO. For information on St. Louis CORE chapter visit Dagen, Margaret and Irvin History of St. Louis Core Collection, 1941 - 2000, collection S0661 at the State Historical Society of Missouri. Kansas City researchers may wish to begin by reading Leon Mercer Jordan, The Founder of Freedom, Inc. This manuscript can be located at the Missouri Valley Special Collections in the Missouri Public Library. Even fifty years ago the athletes were pivotal participants in on-campus change. One basketball player, self proclaimed “progressive white student” from south St. Louis, John Logsdon was the president of the Columbia, C.O.R.E. chapter, 1962 - 1963. Of course race relations has improved since Logsdon’s presidency of C.O.R.E. In a reflective article written 13 Nov 2013, entitled Columbia’s Core, John speaks of the one black person, Malvin West (BS BA ’62) that was shunned in 1960: “No white student in the class would sit next to him.” It was Malvin who invited Logsdon to his first C.O.R.E. meeting. Logsdon’s account of the Columbia MO. 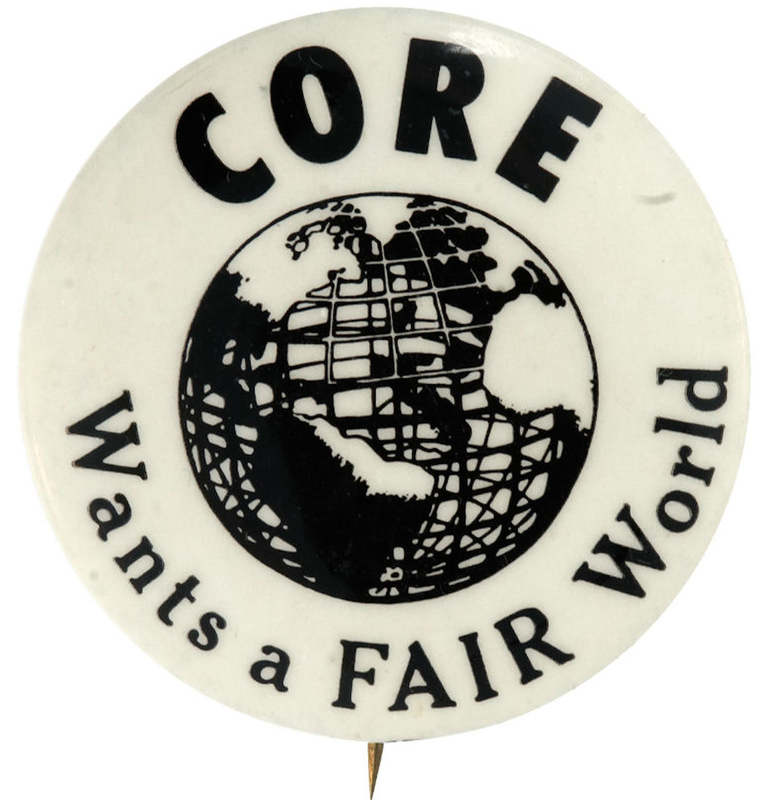 C.O.R.E. chapter states that active students were “half black, half white; many of the white members were women from Stephens College.” C.O.R.E was a national organization founded in 1942. Chapters of C.O.R.E worked and supported many other civil rights groups to desegregate public facilities, organized Freedom Rides, participate in the March on Washington, 1963, but in Columbia, MO, the local efforts concentrated on campus segregations at University of Missouri and student racism.